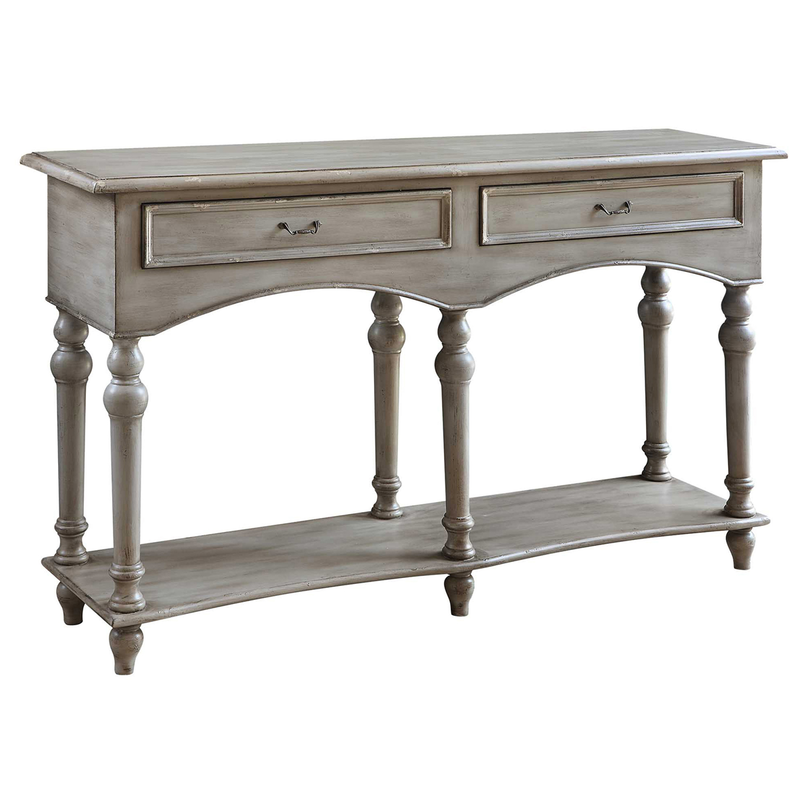 Enhance the seaside mood of your den with the Chelsea Antiqued Gray 2 Drawer Console Table, finely crafted with an antique gray finish, arched openings and turned legs. Ships from the manufacturer. Allow 1 to 2 weeks. Cannot express ship this beach style furniture. For more offerings, we encourage you to take the occasion to browse our entire inventory of beach style cabinets at Bella Coastal Decor today.